Cast & Crew of "The Philadelphia Story"
Having recently moved back to her home state of Oregon, Erin is on cloud 9 to be involved with such an incredible cast and director in a fantastic role. Having previously performed theater in Colorado and California, some of her favorite roles include Nurse Kelly in Harvey, Maria in Twelfth Night, and Bunny in I’m Getting Murdered in the Morning. She sends lots of love to Mom, Dad, sister Kelly. Allison, raised in the heart of Portland, has been involved with theatre since the age of five. She has been to a myriad of schools, ending her high school career at Phoenix High school near Ashland. She plans to attend S.O.U. within the year to study theatre and journalism. She is excited to be in her second production with BCT. and would like to thank her Mother, boyfriend and Nate for their endless support! Daria De Lillo is thrilled to be making her BCT debut. After earning a BFA in Theatre from the University of Rhode Island. She moved to Oregon and became a middle school teacher in Portland. She has performed at Lakewood Theatre Company in Quilters (daughter/Sunbonnet Sue), and Two for the Seesaw (Gittel Mosca), for which she won an OTAS award. She was most recently seen as Grace Hoylard in Bus Stop at Wilsonville Theatre Company. James Van Eaton became enamored with the stage following a cameo appearance in Chasing Moonshine, an adaptation of his second novel. He then added to that amazing experience with roles in Emma, The Hobbit, Measure for Measure, an Ideal Husband, and Arsenic and Old Lace. He most recently portrayed Captain Crewe in BCT’s a Little Princess and is currently at work on writing his first play. Amanda is excited to play Liz Imbrie in The Philadelphia Story. 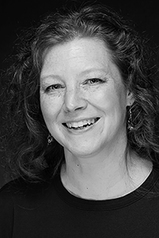 A BCT veteran and proud board member, you may have seen her onstage in The Dining Room, Little Women (Jo March), Suite Surrender (Murphy Stevens), Harvey (Nurse Kelly) and Happy Hollandaise (Claire Findlay). Thank you all so much for joining us and helping support live theatre in Beaverton! And, as always, thank you to her mom for supporting her insanity. This is Nate Walker's debut performance with Beaverton Civic Theatre. Born and raised in Portland, Nate began showing interest in theatre at Clackamas High School. Nate plans to pursue Theatre education at S.O.U. within the coming year. He is currently employed with California Pizza Kitchen. He currently lives in S.E. Portland. He is very excited to work with such a talented cast an crew! Rich, a transplant from New York, is thrilled to be joining BCT for The Philadelphia Story. Rich has appeared as Leo in Wilsonville Theater Company’s production of Neil Simon’s Chapter Two and as Richard Jackson in Twilight Theater Company’s Fertile Ground submission, Perspectives. By day, Rich works as an attorney helping public school districts and universities. Rich is grateful to his family for their support of his newfound passion for theater. Nolan is thrilled to make his Oregon debut at the Beaverton Civic Theatre, and his return to the performing arts, last acting and singing in Seattle at the Lee Center for the Arts back in 2009, and playwriting for the Third Eye Theater in SE Portland. He would like to thank his family for their encouragement and support to jump into what he loves most of all: the arts! After spending 2015 touring dining rooms all over the country and traveling to London, Palm Beach, Eden, Philadelphia and New York, Kraig is back making his 2016 BCT Debut. He'd like to thank Doreen for even more gray hairs on his head and also wants to thank his children for their support AND nomination for Father of the Year for the entire Universe..... of which he humbly accepts. LLAP and enjoy the show. Sharon came out of a long, self-imposed hiatus when she auditioned for BCT's production of The Crucible. She was hooked all over again when she got the role of Sarah Goode. Other fun roles at BCT have been as a Pinhead in The Elephant Man and the Maid in A Little Princess. In her prior life, Ellie in The Great White Hope at the Pentacle Theatre was a favorite. Sharon holds a bachelor's degree in art and theatre. Ted is happily married with 2 beautiful daughters and a female boxer mix. Having performed in various plays in New York and Florida and most recently in Christmas Belles & Dearly Beloved for Mask & Mirror in Tigard. This is his first BCT production. Goal is to be able to perform on stage with my daughters. Judith is very excited to be a part of this production as she will be able to check this off her Bucket List - performing in community theater. This is Judith's first real theater opportunity (however she won Best Actor at the The Murder Mystery Co in Portland). In real life, Judith owns her own business, Wise Heart Coaching & Hypnotherapy, right here in Beaverton. Her passions are her work, granddaughter, and 1-year-old rescue pup, Riley. Michael first acted in high school and has recently become involved in theatre with his wife's resurgent acting career. His venture into adult theatre was as assistant stage manager for The Elephant Man. His first acting role was as Mr. Lawrence in Little Women, followed by Monsieur DuFarge in A Little Princess. He thanks his wife, friends and family for their support and appreciates the encouragement of the BCT family. Brian is brand new to theater and the performing arts. However, his varied career and world travels have exposed him to many cultures, personalities and lifestyles. He says that he is an artist at heart and is seeking his inner-poet, and is taking his first foray into acting seriously (as a hobby). He adds that years of presenting in front of corporate audiences has left him with little fear of being on stage. 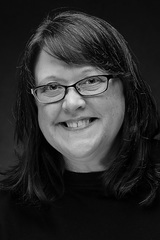 Doreen Lundberg, Director, has been directing and acting around the Portland metropolitan area since 2004; at The Slocum House Theatre (Vancouver, WA), New Blue Parrot Theatre (Camus, WA) and of course, BCT. Doreen directed last year’s The Dining Room, the runner up at the AACT One Act Play Region IX Competition, and will be directing The Legend of Sleepy Hollow this fall. Doreen is known for her insatiable love of cheese, which is better than chocolate. Jenny Cyphers has been working with Beaverton Civic Theater for over a year. She's been involved in many technical aspects of theater production. Her theater experience is with dance, performing, choreographing and technical. She still loves to work backstage. Beaverton Civic Theater allows her to learn new things in new ways, which keeps things fun and interesting. This is her second time being a stage manager for the theatre.